livin vintage: Back from Camping! I'm back from my three day camping trip to Garrettsville, OH; which is just outside of Cleveland. Jesse and I had a wonderful time, despite the rainy weather. Because of the weather, I wasn't able to take as many pictures as I planned... so it's a good thing I got a few in the first day, which was the best weather wise. When I was packing for the trip, I found this dress that I forgot I had. Seems like a lot of that has been going on here lately. Yay for new old dresses! I got this dress at an estate sale and fell in love with the big patch pockets that sport tulips. The pockets reminded me of my Swirl dresses. I'm a gal that loves big pockets on dresses. They are so convenient, especially when traveling. The first thing I spotted was a booth with tons of vintage textiles. This piece of barkcloth jumped out at me. The dealer had several pieces, but I chose this half yard sized piece for only $2! I figured I could always scan it in and have more printed if I needed more in the future. I always feel so bad cutting into vintage fabrics. The other item I purchased with this little guy above. I had recently just lost out on a vintage elephant planter on eBay, so when I spotted this and saw the $4 price tag, I knew he would have a new home with me. Elephants are one of my favorite animals (pandas and birds/owls being the others) and I knew that every time I glanced over at him, I would remember my great trip with my beau. In case you are wondering, I planted an avocado tree in it, which is from Jesse. He has quite the green thumb too! 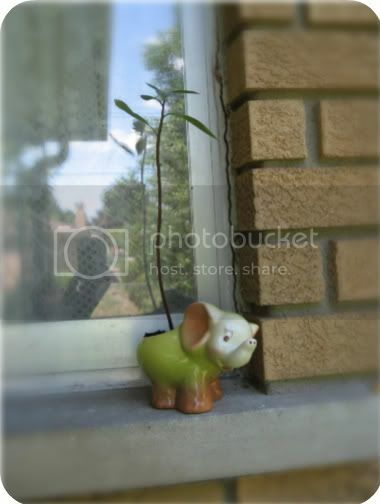 That little elephant planter is SO cute! 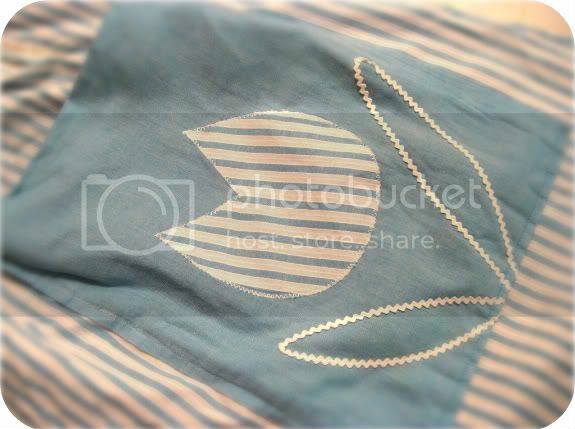 And I never would have even thought to scan vintage fabric to have it reprinted.. that is GENIUS! I'm jealous of your camping trip! We've only been able to go once this year and that was all the way back in May. I am with you on pockets. I adore them but it's funny, I never actually find myself putting anything in them. Isn't that silly? I love those tulip pockets, so cute. There is so much I love in this post! 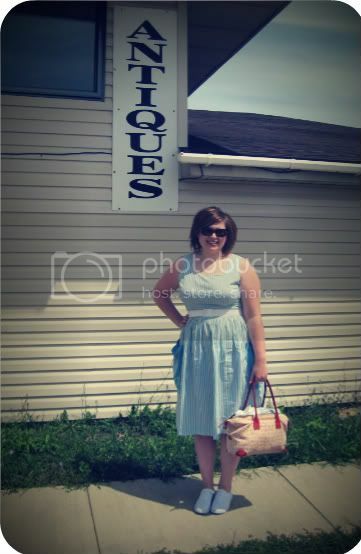 First of all, I totally have dibs if you ever unload that ridiculously adorable dress with the tulip pockets. And your barkcloth! So sweet! 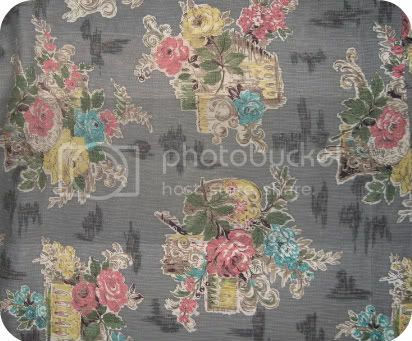 Lastly, I award you top points for creativity on your idea of having vintage fabric reprinted. you are so styling! I now want a cute dress like yours. Aren't vacays wonderful? SOOOO very jealous of your elephant he's gorgeous! Love your elephant! He's too charming. I love pockets, too, but like Tasha I never put anything in them!